Guy: This week welcome to the show Laird Hamilton. He is an American athlete, surfer, author, inventor, stunt man, model, producer, TV host, fitness and nutrition expert, husband, father and adrenaline junkie. He is regarded as one of todays best known big wave surfers. But at 6’3”, 215 pounds, with an uncommon combination of balance, flexibility, and strength, Laird Hamilton is unique. 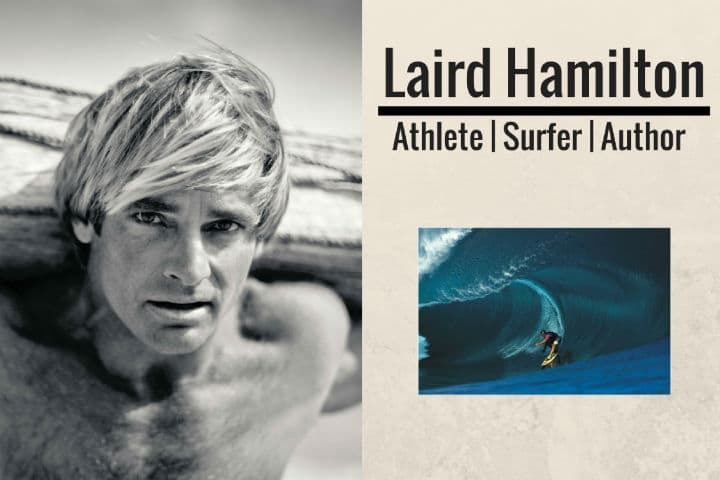 In addition to riding many of the biggest waves on the planet, Laird is known as the world-renowned innovator and guiding genius of crossover board sports including tow-in surfing, stand-up paddle boarding, and hydrofoil boarding. In short, Laird Hamilton is the essential Water Man. What does your training routine look like (on and off season)? I’ve read that breathwork has become a large component of your training, why? Do you implement any particular stress-reduction techniques? What can we expect from your new movie ‘Take Every Wave’? [00:01:00] This week, we are doing it with the awesome big wave surfer, Laird Hamilton. I have to say, me and Stu were like kids in a candy shop again today. It was just awesome to get Laird on. If you aren’t familiar with Laird, he’s an American athlete, surfer, author, inventor, stuntman, model, producer, TV host, fitness and nutrition expert, husband, father and an adrenaline junkie and- did I say?- big wave surfer. We delve into all sorts, today. His training routines. Of course, Wim Hof, and the breath work, I know he’s incorporated that into his routine. Mindset; you know, some of these waves he gets on are bigger than- They’re huge, I can’t even describe; I get scared on a three foot wave. Nutrition, and so forth. What was clear about Laird: He’s a laid back, top guy, and was just happy to share his message and, hopefully, inspire us to make right choices, because he’s a great example of a human being. It was awesome to get Laird on and I have no doubt you’re gonna enjoy this today. [00:01:30] Of course, if you enjoy this episode, please share it with other friends and family and, of course, leave us a review on iTunes if you’re not subscribed to us, or five-starred us by now, just to help continue to get these episodes out. We’re working really, really hard to bring you the best and the latest guests that we think that is gonna compliment the show, and be able to get this information out there to all you guys, as well. I’m loving it, hopefully, you’re loving it, and it would be great if you could do that for us. Anyway, let’s go over to Laird Hamilton. Enjoy. Hi, this is Guy Lawrence. I’m joined with Stuart Cook, as always. Hi, Stu. Very well, thank you. Our awesome guest today is Laird Hamilton. Laird, welcome to the show. Now, mate, I just have to fill you in a little bit with our backgrounds. Stu knows a phenomenal lot about you. 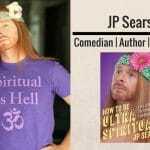 He reads your books and everything, and I literally just discovered last year when I did some work with Wim Hof, so I think we’re gonna come at it from two very different angles today, doing the interview. Perfect. That’s the best way. [00:02:30] First question we ask everyone on the show, mate, because I’m pretty sure we’re gonna be exposing you to a lot of new listeners today that might not be familiar with you, and that is, if some stranger stopped you on the street and asked you what you did for a living, what would you say? Well, in the past, I’d probably say I was a sanitation worker or something. A farmer. Anything but a surfer. Normally, people ask me, what do I do? I say, I surf. Okay, perfect, perfect. Just to get a little bit of a background, Laird, because I’m not familiar. All I know is that you moved, I think, it was either three or four months old from … is it San Fran to Hawaii, and then grew up in Hawaii? What I’m intrigued in, what got you into big wave surfing in the first place? Because I’ve been learning to surf and anything more than three foot terrifies me, at the moment. Well, lucky for you, then you get terrified a lot. No, I mean, that’s a pretty commonly asked question. I think I’m predisposed to like that environment, to like the thrill and the danger. I think I have a disposition for that. Some of the attributing factors to me becoming a big wave rider, I think it was that the ocean was a place that I found a lot of equality. It was a place where I could … just leave all the worries of the land behind, and maybe be judged, or kind of let your skill do your talking kind of thing, but, yeah. Big is, just for me, in the evolution of being a surfer, is just the apex. It’s like if you’re a mountain climber, you either go to the most difficult climbs as you evolve, or you go to the biggest mountain, however it is. I think it’s a combination of a bunch of different things, but I have a disposition, and I’m kinda predisposed to like danger. Yeah. We had some genetic testing performed a couple of years ago, Laird, and I was flagged as having a thrill-seeker gene, and I’m guessing that you’ve probably got a similar gene, but you’re just taking it to the extremes. [00:06:00] Absolutely. Well, you know, the fact is is that I think it’s a human thing. I think there’s a certain amount of males that have the thrill-seeker gene, which, part of it is a necessity for evolution. To evolve, we had to have a certain amount of males that were willing to be courageous and possibly go against dinosaurs and whatever it was, just kind of go … We need that. We needed that in our evolution, and I think there’s a percentage of males- I don’t know what it is; not a huge percent- that have that thrill-seeker gene or that ability to kind of … You know, I think it’s an ability to kinda go up against insurmountable odds, when you just have too much things and that if you just wanted to reason it out, you probably would just talk yourself out of it. When you’re talking about big wave surfing, and our listeners, to get an idea of what that actually means, it’s not really big wave surfing, it’s monster wave. These are like building block-high, outer reefs, island reefs, super-super dangerous stuff. How do you mentally prepare yourself for that, leading up to what are potentially life-threatening pursuits? My approach is pretty thorough. I go about it in a pretty thorough manner, which means the training, the food you’re eating, the equipment you’re riding. All of that, all that preparation that builds confidence when you’re in those heavy situations. I mean, I wouldn’t say it’s any one thing. It’s a multitude of things, like I said, from the way you live, your lifestyle, the eating. [00:08:30] Everybody has a different approach. There’s a saying: “There’s old pilots and bold pilots; no old, bold pilots.” The fact is, when you go into this stuff on a regular basis, and you want to do it- You know, we always talk about doing it again tomorrow, how do you do it today so that you can do it tomorrow? It’s all about preparation. I just said earlier today to one of my friends, “Perfect preparation leads to perfect performance.” Mind, body, soul. Then, also, tuning those skills, doing the things that fine tune those skills. Doing other things that are dangerous, for example, helps you have the right disposition when you’re in a critical situation. The more comfortable you get with that kind of emotion and the better you get at operating with that emotion, the better you’re gonna be when you get in those situations. [00:09:30] It’s a little bit of rite of passage. It’s a little bit of manhood thing. It’s like the manhood thing. “Now you’re ready; go jump from the bungee tower,” or whatever it is, that you, you know, do the deal. You march your way along, so there’s definitely an incremental march to that day, but there’s definitely a kind of a turning point, and it’s usually when you have the most testosterone flowing through your blood when you first get that- how would you say it?- when your balls drop. Then, you kinda go, “Okay, now is the time.” What are you? 13, 14, or whatever. Then you want to go test yourself. You want to go see what you can do, and that’s a pretty defining moment, and then after that, it’s all downhill. [00:10:30] Well, you become acclimated to that emotion, and also acclimated to the coming down off of it, too. That’s probably the bigger thing. The bigger thing is that you might still get the same anxiety and all that, but when you’re done, you’re a little bit better at dealing with the kind of coming off the drug, you know? You’re coming off the thrill, coming off the emotion. That’s where you get a little bit better at it. Obviously, when you do it on a regular basis, you kinda have to push the bar. In terms of all of the extreme pursuits that you’re currently enjoying, how do you train to be an all-rounder in that? What does your training routine look like? Perhaps, does it differ on an off-season as well? Definitely differs in on and off-season. I’ve been pretty conscious to become … to go about it in a way that I kinda come up for it. The problem with surfing sometimes, is it’s easy to just continue to, “Okay, I’m gonna go to South America in the summer, then I’m gonna be here, and I’m gonna surf every break all year round.” I find that that, for me, personally, leads to a plateauing. There’s a reason why there’s a hunting season; there’s a reason why most professional sports have an off season, and then you build energy and you gain momentum, and there’s a crescendo. The World Cup for soccer is really intense, because it’s every four years, and so there’s a lot of buildup. Around the Olympics, a lot of buildup. I mean, four years of preparation, have a tendency to make you be pretty frothing. You’d be pretty hungry. [00:14:00] If you were just doing it everyday and it was another Gold Medal event next weekend, it would have a tendency to plateau, so I consciously make an effort to have an off season in the summer, which is the summer in the northern hemisphere, and then the training becomes a lot more disciplined at that point and more focused. You can be that way, because you’re not … You don’t want to train in the middle of your season, and then, all of a sudden, a giant swell comes, and you’re tired because you’d trained all week. That’s just stupid. In contrast to that is that you can be building up all this energy, because you know when the surf coming and it’s gonna be big, the body begins to prepare itself. The body goes, “Okay, we know on Sunday that you’re gonna run your head into somebody else; we’re gonna gear up for that,” so, the body prepares itself for this kind of battle, and when you don’t have it, then you’re kinda like, “Oh, what am I gonna do with all this energy?” You gotta learn how to constructively spill that, which would be some kind of training. [00:15:00] My training consists of- it’s super-diverse, and I like it that way. Part of it is, I get bored, and I also don’t like the monotony of the similar routine, even though I’m very disciplined and very routined, I just don’t like the same kind of training, the same thing for me. I just feel like you kind of actually start to deteriorate through that process, because the body’s so efficient. I always describe our behavior like the path of water, you know? We’re always looking for the least resistance. The body’s always gonna adapt and learn how to get a little bit better technique, which takes a little less muscle, all that kind of thing, and then, before you know it, it’s like you’re doing the same thing, and then you got to up the weight, you got to up the reps, you got to up the mileage, you gotta up, everything’s gotta be up to keep it going. [00:16:00] I have a pretty diverse training routine. Everything, from different breathing stuff to stretching to weird weightlifting. 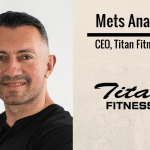 I have a really interesting pool training kind of system that I’ve developed with weights that really kind of leads itself to making you just a better athlete, and better endurance, and stronger without all the negative side effects of training. I think 90% of the professional athletes out there are over-trained; I think the people are really over-training, and that the training really undermines their longevity and their performance, because it’s part of it is the nature of we just think more is better and if I work harder and I grind harder, I’m gonna be better. I watch my dog, and he runs like a bullet, and then he just turns around and lays down and goes to sleep. Then, he gets up and he runs like a bullet, and then he goes back to sleep, and I’m kinda, like, there’s something to be said about that contrast. Yeah, sometimes we think grinding it out constantly, we’re gonna get better results. Well, it’s part of our mentality. Yeah, well, that’s more like my dog. That’s my dog, you know? [00:17:00] My dog’s high intensity, and then he’s just laying down. He doesn’t over-think it; he’s a dog, so he just does what’s right, you know? But, yeah, the high intensity thing, I mean … What’s interesting about surfing is that surfing, especially in big surf, it’s a lot like that. I mean, it’s super intense, and then you’ll sit and you’ll wait. Then, it’s super intense, and you’ll sit and wait, so it’s already kinda naturally like that. Like, that format’s pretty common, given what we do. On the big waves, Laird, how long can you get held under for if you get dumped? Well, indefinitely. You could be held down forever. For us, if you approach a minute, that’s a problem. I mean, a minute is a problem. 30 seconds is a problem. What happens is, waves have a certain separation apart, and real big surf has the low 20 second, 21, 22 second interval, and that means if you’re down longer than 22 seconds, then you have another wave landing on you, and that becomes an issue. [00:18:30] The biggest thing that we have going for any hold-down is that we’re at maximum heart rate, most of the time. When you’re at maximum heart rate, ten seconds, that’s a hold-down. 15 seconds. I mean, these are long. 20 seconds. This isn’t free diving, where you’re meditating, bringing your heart rate down, and then hanging out, and using a real slow amount of energy. This is maximum heart rate. How long can you hold your breath? If you can hold your breath for 30 seconds, 45 seconds, under maximum heart rate, you’re world class. That’s as good as it can get. A minute? That’s the longest minute of your life. I can believe it. I freak out after five seconds in some of the waves up here. Yeah, it was quite incredible. I know you have adopted and use Wim’s methods. I was just curious, how did you meet Wim? Then, why did you take on his methods, and how have they been to your overall training? Originally, how did we … Somebody gave me the book, “Making of the Iceman.” I had already been naturally attracted to ice and in the cold. Whenever I’m in a cold place, I’m always swimming in frozen rivers and lakes, so I had already had an attraction to that, and I had already been also kinda doing a lot of breath work, unbeknownst to me. You know, I have a theory that a lot of exercise is really our body’s way of tricking us into breathing. The reason why everybody’s so obsessed with all this cardio stuff is because it’s forced breathing. [00:21:30] One of my favorites, and I think Wim’s work really comes from Tummo, which is that Tibetan Himalayan monk breath work, where they heat their bodies up and dry sheets at night in the snow, naked, and with their bodies. We’ve been praying with Tummo; we pray with [apnea 00:21:29]; we pray with Pranayama; we pray with some Indonesian Monkey Chants. We make it all our own. I’ve been doing, for years, respirator resistance work, where you use bandanas or mouthpieces to slow the intake. We always do breath holding, and then interval training with breath holding intermittent in it. I think that Wim’s work, specifically, really kinda got us onto the whole way the body releases the oxygen when it’s held in the bloodstream when you increase the CO2 level. When you play with the CO2 levels and the oxygen levels, then the body will hold the oxygen in the blood, and then it will release it all at one time into the blood system. Again, it’s just such a huge world, breath work, and Wim’s work kinda brought my attention to it. I had already been doing stuff, naturally. All my pool training is all breath rhythms. Every swimmer, that’s all breathing rhythms. Running’s breathing rhythms. Any kind of long distance endurance stuff is all breathing rhythms, and we’re continuing to explore and adapt and modify and turn this stuff into our own thing. Yeah, fantastic. I had no idea of forced breathing and how effective and powerful it can be, if done overtime, or brought in on a regular basis. [00:23:30] Oh, yeah. Oh, yeah. Oh, for sure. Well, it’s the isolation of the breath work is really- You give the body a chance to really adapt and not tax the oxygen in your muscles, that you just get it into the cardiovascular system, and that system becomes more efficient. It’s pretty cool. The effect it has on your endurance is incredible, and on your recovery. Oxygen is the key to life. [00:24:00] It sure is, yeah. It’s radical stuff. We had an ice bath and did some breath work at Guy’s place, recently. For our listeners, we went through a series of breathing, and then we tried to perform as many push-ups as we could, and be known to me, I doubled what I could normally do. It’s a whole different physiological approach that enables you to do things that you couldn’t normally do. [00:25:00] Absolutely. Also, that you normally couldn’t do under those circumstances, because we have this whole, you know … To run the cardiovascular system is an effort, and so you burn oxygen just breathing, itself, and so, when you just isolate it, oxygenate the system, then you can get all kinds of cool … I mean, when you do real intense stuff, we find that you naturally hold your breath, anyway. That’s a pretty common thing. When anybody’s really under full stress, there’s a natural tendency to breath-hold. I attribute that a lot to the fact that you’re not taking distraction of breath in your act; you’re actually just able to focus on specifically what you need to do versus, you know, an “Oh, yeah, and I need to breathe, too,” kind of thing, but, yeah, it’s an exciting field because it’s just sitting right in front of your face. Yeah, it’s fascinating stuff. I wanted to ask you, Laird, about sleep, as well, because we’re in a bit of a sleep crisis, I think, as a nation, in terms of we’re overstimulated with stress. We’re switching on our stress hormones all the time at the wrong times. Given the fact that you are an elite extreme athlete, and you are probably switching on your stress hormones quite a lot, how do you sleep? Do you sleep well? [00:26:00] Yeah, like a fallen tree, but I’m pretty conscious about living in the light. You know, waking up before the sunrise, and then trying to go to bed a couple hours after, but I never have had any kind of sleep stuff and I think it’s just because, normally, a day consists of so much intensity, that I’m not gonna have a problem going to sleep. [00:27:00] We’ve done some endurance stuff before where you’re just dragging. Then, as soon as any bit of light comes from the sun, even just a glow, it gives you energy and you start to really connect with the fact that the light is really powerful stuff on your hormones. It is, yeah. It’s fascinating stuff, and we’ve spoken to a few experts as well that have said, literally, you can be in a dark room, and there can be a little shaft of light poking through your curtains, and your body will pick that up and it will down-regulate your melatonin, which means that your quality of sleep will suffer, so super-dark is the way to go for quality sleep. [00:28:30] Even sunglasses, I always give people a hard time about sunglasses. Everybody’s always wearing sunglasses. I go, “Hey, lose them sunglasses?” First of all, they make your eyes weak, but then they also don’t let your brain assess the kind of light there is so that your skin can prepare itself for that light. The skin’s not that smart on its own; it’s just a bunch of cells. [00:29:00] Yeah, you’re down-regulating before your run. Probably not the most productive preparation for a run. Part of it is, you know, sunglasses are cool, or, “Hey, I’m protecting my eyes,” but I always tell my friends, I go, “Listen, you’re not protecting your eyes from the light that your eyes are designed to be in, by the way, and I don’t care, O-Zone or no O-Zone, our eyes were designed for the light. You’re not doing yourself a favor by wearing it.” If it looks cool, no problem; that’s another reason. [00:29:30] Or you don’t want anybody to see those dark bags under your eyes, that’s fine, too. Whatever it is, but it’s not functional stuff. You’re hiding the dark bags, because you didn’t get a good sleep, and you didn’t get a good sleep, because you’re wearing the sunglasses all day. [00:30:30] I’m better when it’s stressful. The more stressful and the more brutal the situation, the calmer I get. I probably get stressed over the mild stuff, you know? Breathing’s a phenomenal way to deal with stress, for sure. That’s another, that’s a big- you know. Eating right. Nutrition’s such a big part of that, too. People don’t realize and don’t connect how important nutrition is for your stress. If your body’s not hormone-balanced, that’s why icing’s so great. I mean, I’ve been doing heat and ice for three or four years already, and I can’t tell you what that does for your overall hormonal stability, which is directly related to your stress levels. What kind of heat do you use, Laird? Do you like infrared, or saunas, or [crosstalk 00:30:59]? I use a sauna. I use a really hot sauna, like 220 or something, our temperature, so, hot. Hot sauna, and then ice. Will you alternate that with the ice at the same time, or do you keep them separate? [00:31:30] I do. No, I do, I do. If I’m trying to recover from something, if I get worked, like, if I get bodywork done, or I had been in the ocean for a long time, I’ll usually do light up on the ice, because of the amount of stress it puts on the system, and I’ll go with the heat, and dancing between the two, you know, going between the two of them. [00:32:00] I got my hip replaced last summer, and I’m pretty anti-anti-inflammatory, and anti-any kind of pains. I just don’t take any of that stuff. I was prepping myself to use ice as a thing, and then I read the whole thing about how ice kinda slows down your healing, and so then I’m like, “Ooh, I don’t even get to use ice,” and now I gotta suffer through that thing. [00:33:00] Well, it goes back to a shirt that my friend, Kelly Starrett gave me, which says, “Pain makes you beautiful.” There’s something to be said about having a relationship with pain, but there’s a time. I mean, listen, when you get whacked really good and you want to numb that thing a little bit, initially, right when you get it, that probably doesn’t, it’s not the worst; in the scheme of things, that’s probably the least … As soon as you take it off, it’s done. It’s not like something you put in your bloodstream, where it’s gonna be in your system for awhile. … a strategy for rest and repair, it is questionable. [00:34:00] I don’t think there’s been enough work really done with the heat and ice combination. I think that no one’s really done that yet to look at how that affects the blood flow and actually speeds up your whole system, because they go, “Oh yeah, well, ice does this and suppresses the thing,” and I go, “Yeah, but when you’re doing heat and ice combo, and you’re jacking that heat way up and going down and doing rounds, ten, fifteen minutes- three in the ice, fifteen in the heat- I think that has a whole other level.” For recovery, that stuff is incredible, but I think that’s promoting blood flow. It’s not just ice alone, where you’re just kinda stagnating. You’re slowing everything down and kinda stopping that whole “heat up” process, so I think the combo is something different. I think so. I think more research is needed, because I’ve noticed that a lot of the hackers, the bio-hackers of the world, are really experimenting heavily with that combo right now, and it’s coming up all over the place. It’s very interesting. For sure. Well, I always think of the bio-hackers. They’re just looking for a way out to not work out, which I appreciate. I appreciate that. Heat and ice is a hell of a workout, but there’s something to be said about suffering. I get it. You mentioned, as well, about reducing inflammation, and we’re super-keen advocates to do that through diet, as well. Oh, yeah. Well, that’s the key. Yeah, so, how do you eat? What are your philosophies on eating? We’ve seen such a shift in information over the last ten years, that half the nation’s confused. What do you do? [00:36:00] Yeah, I’m a fat lover. I consume a lot of fat. In fact, I have a couple products that are based on that whole fat philosophy. I have a company, Laird Superfood, that has a couple coffee products. My day normally starts with a bunch of fat and lots of espresso. I’m the caffeine-fat guy, and then I’ll go until 1:00 or something, and then I’ll eat a big meal, at that point, but fruits and vegetables- or, I should say, plants and animals. A lot of sugar in fruit. Reduce the sugar, because it increases the inflammation. A lot of turmeric. I eat a lot of turmeric in my diet. My friends have turmeric farms, I drink turmeric juice. I have a bunch of turmeric; I’m always on turmeric. [00:37:00] Right now, the way the world is and the way our food is, I think you have to supplement. I’m always looking, you know. We’re eating mushrooms and [inaudible 00:36:26] and, I mean, I’m eating all kinds of weird stuff that has high nutrient density, because of the nature of our food is so destroyed. I’m not so crazy about my diet that I’m not willing to just eat something on the road that’s probably not great, because I don’t want to be so … but I don’t want to cause any stress about it. I’m not gonna stress about if I can’t get some thing that I’m crazy for and I don’t get it, I’m like, “I’m cool with that,” but I’ve been so-called paleo for more than 20 years. I’ve been eating no bread, no wheat, minimal wheat, minimal sugar, and minimal dead dairy for a long time. Do you know who Paul [Check 00:37:26] is? Paul Check’s a good friend of mine, and Paul and I have spent some time together over the years. I’ve always liked his philosophy. I put the philosophical approach to diet, which is, “If it wasn’t here 10,000 years ago, don’t eat it. If you can’t pronounce it, don’t eat it. The three white devils are white flour, white sugar and white milk.” For me, I go, if you can just use that as a guideline, then you’re starting someplace. [00:38:00] I’m not a vegetarian. I like protein and I grew up on protein. Good quality. Wild stuff’s better than non, and when you can choose the origin of your food, always do that, but you still have to … I mean, I still use Jesus as my nutritionist, and he said, “Food’s for the stomach and the stomach’s for food,” so there’s something to be said about that, too, you know? Do you just find yourself just eating when you’re hungry, stopping when you’re full, skipping a meal if needed? Most people that generally have a higher fat diet. [00:39:00] Yeah, well, I mean, when I eat, I’m hungry. I mean, I’m eating when I’m hungry, and I’m hungry, because I usually delay eating so long that when it comes time to eat, I’m ravenous. I’m like, I’m just gonna devour. I think the body likes that. I think the body likes to be hungry when you eat, and it’s ready to absorb nutrients. I think if you’re just eating because it’s 1:00, I think that’s a problem. I’m definitely under the philosophy that when you’re hungry, eat. Or get hungry, so you can eat. That’s the biggest thing. Delay it long enough. [00:40:00] Yeah. Yeah. I mean, my performances are always better earlier. You know, your body’s designed to handle stress in the morning, anyway. It’s weird, I mean, in professional sports, they make these guys play at nighttime, and it’s the worst time to play. Then, they can’t go to sleep. It’s pretty bizarre. In the world, in nature, you wake up, and then your best hunting’s going to happen first thing in the morning, when you’re hungry. I definitely think that the performances are better. It doesn’t mean you won’t go and do stuff in the afternoon, and if you don’t have choices because of stuff that’s happening in your life, okay, I understand that, but the morning’s the time to do anything stressful. To get amongst that, yeah, fantastic. [00:41:00] Yeah, well, I’m trying to stuff stuff in there with one of them, but, you know, they’re kids, and you gotta let them have a little bit of the forbidden fruit. I think you’re gonna run into a problem … If I put the demands of my diet onto my children, as soon as they move out of my house, they’re gonna just turn into a monster, eat everything in sight. We don’t have a ton of crap around. I mean, the quality, even when it’s bad stuff, is still good bad stuff, but I think it’s important. The kids have to have a little bit of that thing. They’re exposed to unique stuff and they get to eat unique stuff, but I’m definitely not, and I probably should. It’s hard enough to be their parents and to give them good morals and good values, and then force them to eat raw kale, you know? [00:41:30] Even though my daughters have really diverse kind of diets on their own. You know, my little, skinny one just always likes vegetables and salad, and my other one, we say, hasn’t met a carb that she didn’t like. She’s, “Anything carb, just give me the carbs.” You tell them, hey, you’re gonna be sorry if that’s the only thing you eat, and you got to da-da-da, and you just keep chirping on them, but at a certain point, they’re gonna go around the corner and just stuff their face with something out of a bag, if you don’t [inaudible 00:41:50] if you try to suppress it. I’m in the same position in my household. The kids are crazy, but it’s good fun. Yeah, and you provide it. You go, hey, you get good stuff that’s like, you get wild game and good salads and good food. They’re gonna have to, at a certain point, when they become adults, make a decision, and it won’t be because you didn’t lead by example. I’m just the example guy. Like, okay, this is what I do, and if you don’t want to or you don’t like it, well, you can do something different. Well, it looks like you’re a reasonable example for the kids, which is a great place to start. That’s all I can do, at this point. I wondered, I just wanted to just touch quickly on XPT, as well, because I was looking at that on your site a few weeks back, and I thought it looked very unique and intriguing. I wondered if you could share a little bit about what it is with our audience, please? Well, XPT really is kind of an experience into what we consider our lifestyle. We’re just taking people through, like, a three day exposure to the things that we have been exposed to, experts that we’ve been exposed to, fitness that we’ve been exposed to, nutrition philosophies that we’ve been exposed to, and give people a little window into things that we’ve adopted, things that we like, things that friends of our that are experts like and that they’ve adopted, and then it’s always evolving. All of these things. Like, I was talking about the fitness. Ultimately, your diet, nutrition, all that stuff. Everything’s just always evolving. New stuff comes in, and old stuff goes out. Some stuff stays. People have a profound experience when they do that, and it’s been nice. [00:44:30] In one way, we feel a little bit obligated to do it, because of the nature of the benefits that we’ve had from being exposed to these things and what these things have done for us when we’ve adopted them. Whether it’s nutritional, like I said, whether it’s stuff we’re talking about with turmeric or heat and ice or breathing, or mobility stuff or sleeping or sunglasses or sunscreen. Whatever it is, we get into it, and when they’re done, I see transformations happen, and that makes it worthwhile, and it makes it something that I really want to put time into. Yeah, fantastic. How often do you run them, Laird? “I’m talking about an industrial one!” No. Or a swimming pool. “Yeah, we got this swimming pool!” Then, you get there, and it’s like waist-deep, and you’re like, “Yeah, no. I need, like, a 12 foot deep end.” So, there’s some of that, but right now, I think we have, coming up on this summer, we probably have six or eight of them already lined up. Are they for all abilities? Yes. Yeah. 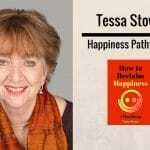 I have a philosophy, which is, “What’s good for the goose is good for the gander,” or, if it’s not scalable, really, then it’s really not … In my opinion, it’s not sustainable if it’s not scalable. If a kid can’t do it and an old person, some version of it, then it’s specialized and that for me isn’t really lifestyle. That’s not lifestyle. We can adapt. We can modify it and make it. If you said, “We have a professional rugby team and they’re gonna come be with you guys for three days.” I mean, we can definitely just crank it up and make it like, okay, we got some big boys here and we want to grind on them. We can do that or we can tone it down and be like, “Hey, we have some people that don’t even workout, but they want to go through the experience,” so there’s ways, again, to make it scalable. Brilliant. There’s nothing better than having a direct experience with something. You can watch as many podcasts, YouTube videos as you want, and until you do this stuff, forget it. Well, it’s like, how do you explain heat and ice, you know? Again, it’s having an experience. That’s what people need, anyway, for transformation. It’s funny, even with Wim’s retreat last year. When I decided to do it, I started doing my own kind of pre-training to it, and I thought, “Yeah, I’ve got this cranked, I’m going in.” Then, the moment I caught up with Wim and we had five days, it was just talking cheese, you know? Even just from that, even though I was doing the work. Yeah, it was quite incredible. Quite incredible. It is, it’s a completely- Yeah. Which is why you want to do these things, right? If you could just tell somebody and they would get it, you wouldn’t need to have experiences. You always end up hanging out with the coolest cats around, because they’re all like-minded people coming to do the same thing. [00:48:30] It is. It’s incredible how, when you come in, if you ask people to go adventure into the unknown, it’s a certain breed that goes into the unknown. There’s a certain type of person that’s willing to go into the unknown, and they’re usually great. It’s a great thing. If you could, just fill us in a little bit, Laird, on the movie, “Take Every Wave.” I know it’s just out. I haven’t seen it yet, but I’m dying to see it. What will we expect when that one hits the screens? Well, it’s my life story told through … The director is Rory Kennedy, who’s an award-winning documentarian director, and a Kennedy, but a woman from the East Coast’s kind of perspective on my life telling the story in a way that she saw it, which, I think, it will speak to a bigger audience, ultimately. Surfers, they can see it, they can not see it, but it’s for a bigger audience. It’s not just a certain movie for surfers. So far, we’ve had really, really great reviews. Some pretty harsh critics have actually made comments about it and we’ve had really good reviews, so we’ll see where it’s gonna come out. Right now, we’ve only been at Sundance. I think we have a couple film festivals that were organized to do it, and we have a couple different groups that are soliciting to distribute it, so that’s the next big thing, to see who distributes it. [00:50:30] Yeah, well, that was the thing. We’ve been keen to try and get hold of it over here, for sure. I know that over here, we’re exposed to Netflix, iTunes, and all the others, but couldn’t see it from there, but, yeah. It’s very exciting. We don’t know who’s gonna do it, but, like I said, we had good response. To have a woman tell the story and take the story and to take my life and extract it in a way that … It’s a lot more interesting than I thought. Love it. Sounds good. All right, we’ll keep an eye on that one, for sure. We ask a couple of questions to everyone on the show, just to wrap up, Laird, and one is, what are your non-negotiables to be the best version of yourself? I gotta be in the ocean. I gotta be in the ocean. That’s non-negotiable. I have to have a certain moral code, there has to be a moral code that’s non-negotiable. I live a certain way, and I have a certain value system and moral code that I live by that is not negotiable. Perfect. The last one is, mate: What is the best piece of advice you’ve ever been given? [00:52:00] Well, my mom told me, before she passed away years ago: If you can’t be true to yourself, then you can’t be true to anybody else. That’s pretty good advice. That is good advice, yep. You can’t argue with that. No way. Brilliant. For everyone listening to this, where can we send them? Where’s the best place? If they want to learn more about XPT or keep an eye out for when your movie’s coming out, or learn more about Laird, where should we send them to, mate? [00:53:00] Oh, gosh. Unfortunately, I’m kinda spread out on the Internet. Obviously, I have a Facebook and an Instagram and some of those other things that I’m not sure exactly why, but there’s LairdHamilton.com, and XPTLife.com has its own site. Lairdsuperfoods. I have an apparel line, as well. Somewhere in those, in that normal, pretty much you Google my name and somewhere in there, it’s probably telling you what I’m having for breakfast or something. We’ll make sure that we drop all of the links that we can find on the show nights, as well. [00:53:30] Yeah, well, I appreciate that. I know we live in the world of links now. It’s an interesting phenomenon, this whole world that we’re living in. In a way, it’s a beautiful thing, and it’s scary and it’s confusing, all at once. It is, it is. I know. It sure is. Brilliant. Well, at least there’s no real Wifi out in the ocean. Have an iPod chiseled into the board, yeah. [00:54:00] … we couldn’t do this program right now if it wasn’t for technology, so, in a way, I think it’s linking the world. I think that the more we link knowledge and we link people, the less people can get away with stuff. Totally. I get it. All good. Well, mate, it’s been an absolute pleasure to have you on the show. I’ve been so excited, and I really appreciate all of your gems and nuggets of wisdom that you shared. Can’t wait to share it with our audience. Well, I appreciate it. Yeah, thank you very much, you guys. What do we say? Aloha. So, aloha. G’day, I think they say out here. Okay. Yeah, you say, “G’day,” too, but it’s all at the end. The “ah.” “A” and “ah” is all about the breath. It’s all back to the breath, you know? G’day and aloha, it’s all with the As. It’s all about the breath. Keep breathing. It’s all about the breath, that’s right. No air in and out and it’s over. Thank you very much, Laird. Thank you so much, and you have a great day. Love. love, loved the Laird interview. Well done Guy and Stu, it was very inspiring!